Just drew this yesterday. Full Size Image below. 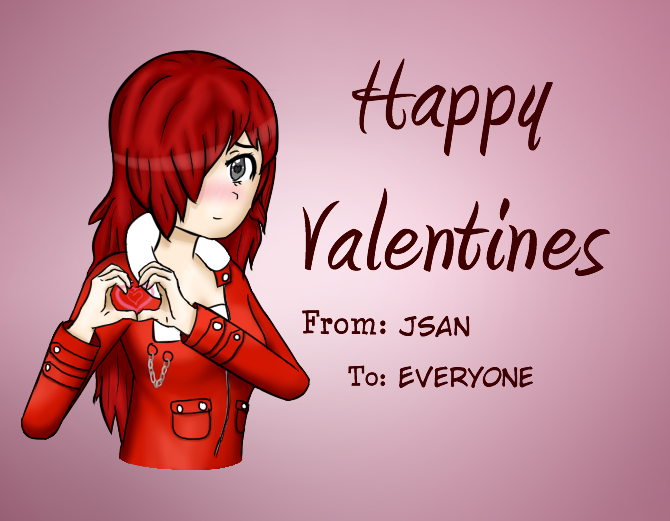 I've just finished redrawing the valentines day pic I drew earlier this year. This time I had done it in high resolution(in link below) and will color it in later. Currently, the site still needs work. More features are planned to be added. The Scarlettopia Universe page is currently in the works, once finished, you will be able to start reading the story I've been working on, the page will also include many other stories not relating to the main story. The page is accessible by hovering over the Forum tab. I will have to add a new page for a gallery/blog relating to my art. I have created a new video of Lynnette eating a cookie! After a long month of legal stuff. I have finally acquired the scarlettopia.com domain!!!!! Time to actually put it to use.